When it comes to finances, it is not uncommon for a small problem to snowball into larger issues. Specifically with home ownership, when debt continues to grow, residents in New Jersey might fear some repercussions, such as foreclosure of their home. 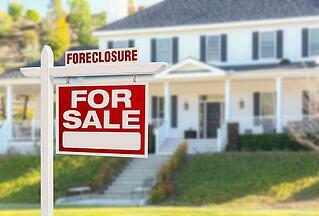 This leads many to question what they could do to avoid or stop the foreclosure of their house. The thought of losing a home due to financial issues is one that is terrifying to most, and the Obama Administration implemented various programs to assist homeowners in these predicaments. These various programs help current and future homeowners avoid foreclosure while also stabilizing the housing market and further improving the nation's economy. One program that is useful to residents in New Jersey and in states across the nation is the Home Affordable Modification Program or HAMP. This allows homeowners to lower their monthly mortgage payment to 31 percent of their verified month pre-tax gross. In some cases, homeowners are able to reduce their current mortgage payments by $1,000 or more. If a homeowner is experiencing an underwater mortgage, which is when the home's value has decreased, they might want to consider the program called Home Affordable Refinance Program or HARP. This helps homeowners who were not able to refinance their home through traditional means due to the decline in value. This program could help the homeowner to refinance their current mortgage into a new, affordable and more stable payment. Another way to stop or avoid foreclosure of a home is by filing for bankruptcy. Initiating the process could stop foreclosure, especially is they are unable to negotiate with their lender to refinance or modify their mortgage. This is also an option of the homeowner does not seek to sell their home in a short sale. Whatever option a homeowner decides to take, they should be well informed of the available options to them. This will ensure they take the best appropriate action to address current and future financial issues affect their home. Contact our qualified New Jersey Bankruptcy Attorneys today for help. Source: U.S. Department of Housing and Urban Development, "Avoiding Foreclosure".